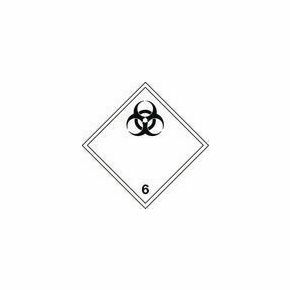 "Clinical waste labels in two sizes 300mm x300mm & 100mm x 100mm"
"The purpose of clinical waste labels is to make staff and the public aware that a hazardous substance could be present in the waste bin. The labels help raise awareness of the contents in a clinical waste bin in order to try to prevent incidents, for instance someone being accidentally infected or causing illness, if for example someone got caught by a needle when putting their hand in the bin. The labels can be placed on bins in medical facilities including, but not limited to, General Practitioner surgeries, Dental surgeries and Health centres. Our clinical waste labels are self-adhesive, so will stick to a surface without external glue being applied. 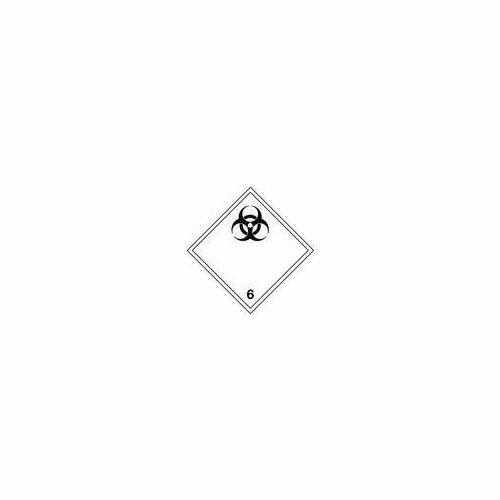 They are white with a black hazardous waste symbol, which makes them stand out against the yellow colour of clinical waste bins. Our labels are available in two sizes 300mm x 300mm and 100mm x 100mm and Next Day Delivery is available on this product."